I looked from a different angle when shooting one of the most photographed monuments on earth. 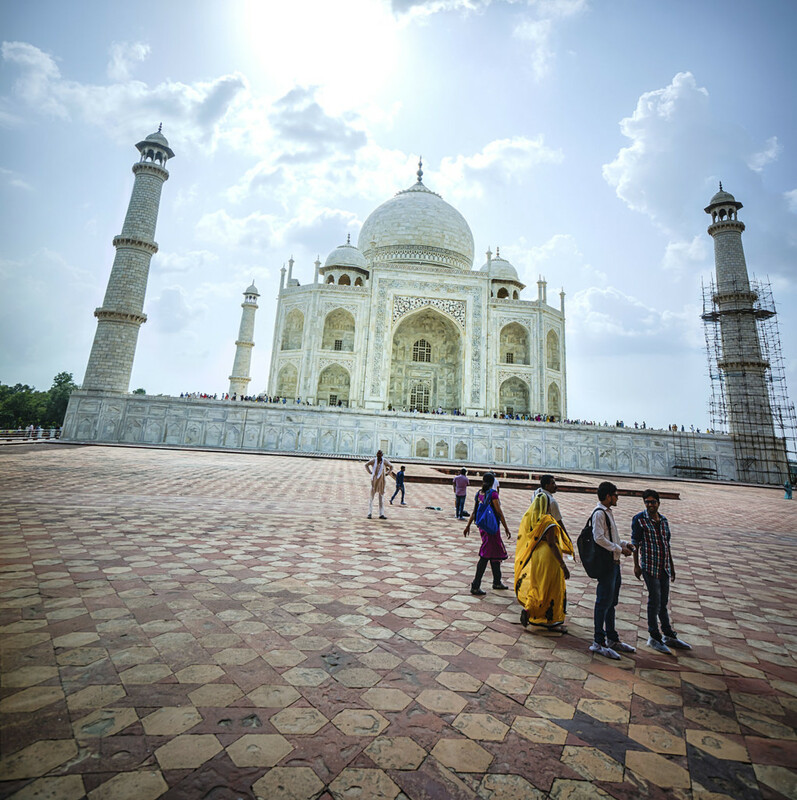 I had the sun on the higher frame, the Taj Mahal in the middle and some Indian people on the right standing that tiled floor. With the wide angle lens, this gives a new composition which I like. If you are on that site where I did the photo you have already walking socks on your feet because entry to the Taj Mahal is only allowed without shoes to protect the monument. The correct strategy to keep that building protected for the generations to come.